Some of the innovative projects that have come to fruition in recent collaboration with the Defence and Security Accelerator. Assisted by the Defence and Security Accelerator, the HemoSep system was developed at Strathclyde University and has now been licensed to Advancis Surgical, a medicine-focused part of Nottingham-based engineering and research company Brightwake, which is manufacturing the device in the UK and marketing it worldwide. HemoSep springs from research led by biomedical engineer Prof Terry Gourlay between 2008 and 2013. The key to the system is a special blood bag that contains filters to remove harmful substances from spilled blood while letting through the oxygen-carrying red cells, infection-fighting white cells, and the platelets and proteins that make up the vital mechanisms of blood clotting. The bag also contains an absorbent pad that soaks up excess plasma that has diluted the blood, locking it into a harmless gel form for easy disposal. The reconcentrated blood is then suitable for transfusion back into the patient. Autotransfusion has many advantages. It reduces the need for medical facilities to keep such large stocks of donated blood on hand for emergencies; it completely removes the risk of rejection of donated blood, as the patient’s own blood is used and compatibility is therefore guaranteed; it is also suitable for patients whose religious beliefs prohibit transfusion from donors. 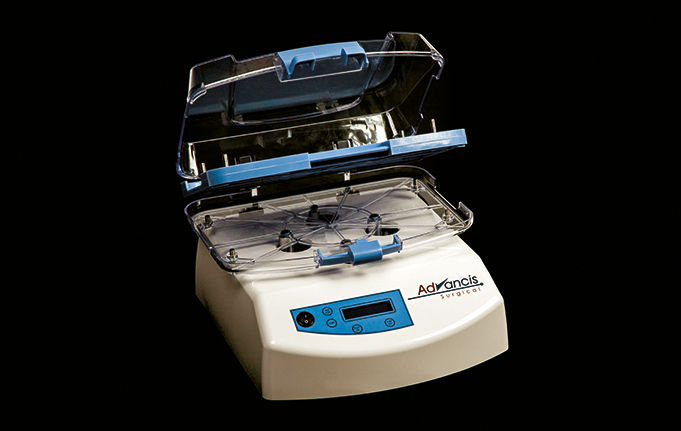 Although autotransfusion has been used for some years during open-heart surgery, it has relied on complex machinery using centrifuges and pumps that need to be operated by specialist technicians. A funding call from the military spurred the research on, and led to the development of the commercial version that had been successfully used in an operation to repair the aorta of a patient suffering from the connective tissue disease Marfan syndrome, but who as a Jehovah’s Witness could not receive a donor transfusion. Compressors are a vital piece of equipment in many industries; compression of gases is very common for many processes. But many versions of compressor technology tend to create vibration, which can be a problem, for example, in space and medical applications. Screw compressors are a low-vibration option, but they tend to be large (above 2kW) so are not suitable for all applications. Edinburgh-based Vert Rotors has developed a version of the screw compressor that can deliver vibration-free compression at low volumes. 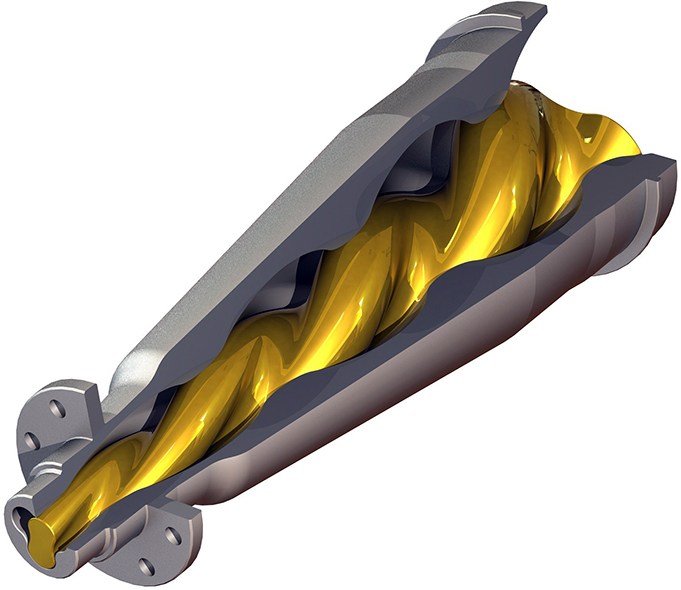 First demonstrated in 2013, it uses a single cone-shaped inner screw in a similarly shaped housing to perform gas compression, rather than the two cylindrical screws side-by-side of a conventional screw compressor. In a traditional system, the clearance between the two screws and their housing allows gases to leak back, reducing efficiency; the conical compressor system eliminates this problem, producing 30 per cent better energy efficiency, the company claims. The compressor works by trapping air between the inner and outer rotors, with intake at the wider end. As both rotors revolve, the air is forced down to the narrow end, and as the space between the rotors decreases pressure is progressively increased. The size of these compressors is 100 to 1,000W. so how about phase change heat pipe sinks for satellites using spring positioned piston as almost stupidly simple suggestion recently to BAe speaker’s remark that something completely different was required without weight _ an answer amusingly also reviving my reaction as naive novice 50 years ago at a job jamboree before I plumped for a PhD that set scene for a campus cored career which pretty much provided whatever I wanted by way of wisdom with even an element of wealth!